Though of course it depends on the size and type of kitchen remodel, I can safely say that an average kitchen takes between four to six weeks to remodel, not including the planning and design phase. The good news is that for 99 percent of our clients, they don’t have to move out during the timeline of their kitchen remodel. We offer creative ways for them to remain in their homes safely. When thinking about your kitchen remodel timeline, I always suggest to clients that they take as much time as they need during the planning and design phase. You – the client – need to be completely comfortable with what you’re getting in your new kitchen. Don’t ever let anyone rush you. Take the necessary time to think about what you want. 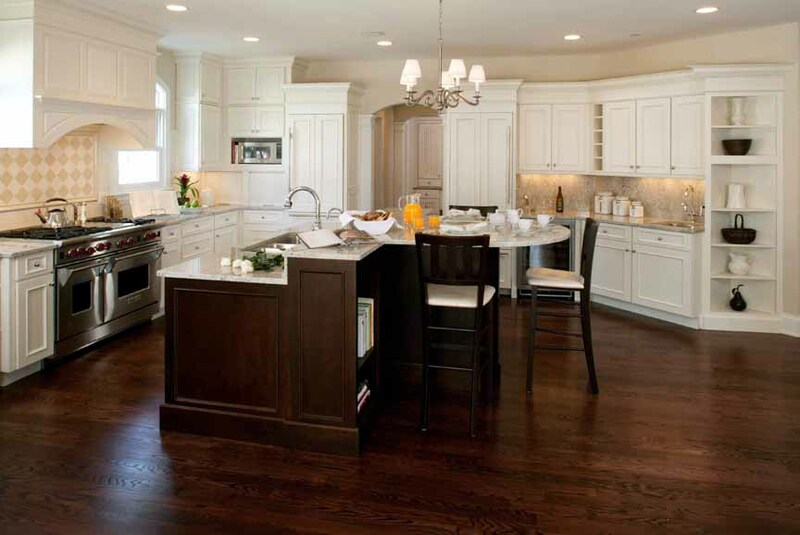 The top kitchen designers we work with in the Chicagoland area literally go through hundreds of questions during this design and planning phase, from the types of cabinets desired to drawer accessories and everything in-between. Check out our blog on sample kitchen design questions. It is also very important that your design/build team is well equipped to show you design and product options in a way that you can perform a cost-verses-value analysis so you are comfortable with all of your decisions while keeping a close watch on your budget. I always tell clients that it’s very affordable to make changes on paper prior to construction versus knocking down drywall while the new kitchen build-out is in progress. 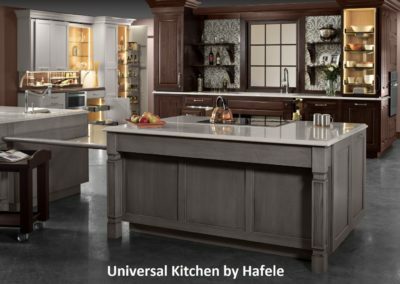 Make sure you are especially aware of any products that require long-lead times for ordering, such as custom cabinetry, certain tile and stone products and custom-fabricated furniture (ex: island stools). 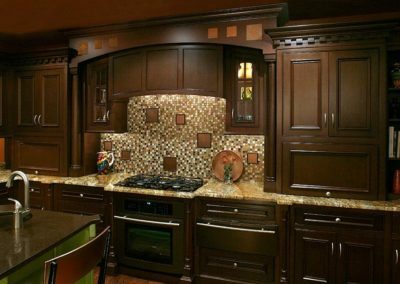 Custom cabinetry can take three to four months to build and ship to your home from the time you approve the order. Semi-custom cabinets take between four to eight weeks, and ready-made cabinets can be on site within a few days of placing the order. If you want granite countertops, it is in your best interest to select and tag the actual slab you like at the location where slabs are displayed so you can see the variations in color veining. You should plan to do this before demolition starts if possible. Read our blog about kitchen countertop options. Lastly, if there is a special backsplash tile you love or are having custom-designed, make sure you start that design process relatively early allowing for the typical long-lead times associated with many tile and stone products. This consists of the obvious on the first day (removing old appliances, cabinetry, countertops, flooring, etc.). The evaluation process takes place next. This is where we walk through the space and assess with laser-level precision the status of your existing walls, ceiling and floor. We need to know if there are any corrections to be made before proceeding. If everything looks good, we move on to the next step. However, if we encounter out-of-level floors or ceilings that require modifications to the framing, we send a written report to our clients that summarizes the faults we found, and we help the homeowners decide what to do next. 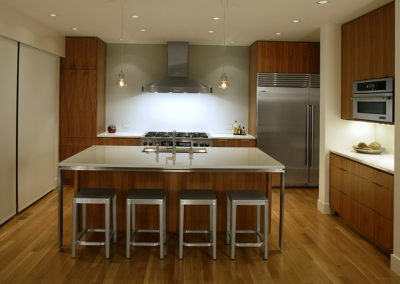 Most kitchen remodels require new light fixtures if not an entirely new lighting system altogether. It is at this time when we very precisely lay out exactly where all electrical outlets, lighting and appliance power feeds will be placed. We get as detailed as placing cut-sheets on the walls and center each outlet or plug strip perfectly. We do this so the electrician doesn’t have to guess where they go based on a sketch or CAD rendering. It can be difficult finding a reputable industrial electrician in Perth however if you do thorough research, you can easily find one. Each location is clearly defined, determined and precisely measured before the electrician is scheduled to arrive for the install. I can’t speak for other contractors. With our company, we take ownership of this process because we need to be sure that all items are perfectly placed before they get covered; it’s much harder to move these things later. If you’re finding it hard to find an electrician to trust, Mr Sparky Sydney will get the job done to the highest standards. Once the mechanical phase has passed inspection, we begin insulating your kitchen, installing the drywall, finishing the drywall and priming. Next up is flooring installation. Assuming you are replacing the existing floor, we do this before the new cabinets are installed. Now come the cabinets (and the time when most clients really start to get excited!). This is when correcting the out-of level ceiling or floors really start to show. The cabinets fit properly and there is no need to bring out the caulk gun to fill a gap between the new crown molding and the ceiling. We are also reaping the rewards of the care that was put into proper electrical item placement because all the cabinets go in with no conflicts with outlets and switches. The next critical step is templating your countertops, which means providing meticulous measurements to the granite fabricator. The fabrication process alone (in essence, preparing the granite for install) takes about 10 days. When possible, we try to speed up this process by scheduling with the fabricator well in advance to turn the countertops around quicker. The fabricator needs enough time to laser-measure the granite perfectly, get shop drawings approved, and send it to the fabrication crew for actual slab preparation. 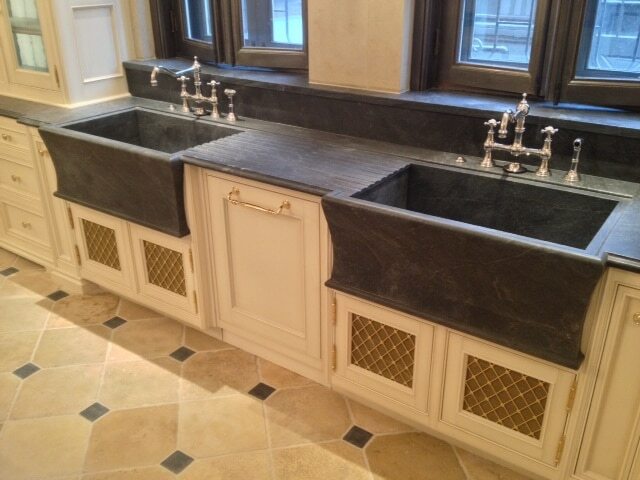 The fabricator then delivers and installs the countertops at the job site. This phase includes installation of the plumbing fixtures, decorative backsplashes and final trim, and finishing of hardwood floors, allowing for the right amount of time to dry in-between applying coats. Hire a replicable plumber like Toronto plumbers to ensure all the plumbing is done correctly. Painting is last. No major explanation is needed here. This time is also used for small touch-ups and fine-tuning so the project is ready for the client to enjoy! Are you planning a kitchen remodel and need to talk through your timeline? Give me a call if I can help answer any questions. If you choose the right design/build team and plan ahead, you’ll be able to enjoy your new kitchen before your next big celebratory occasion.